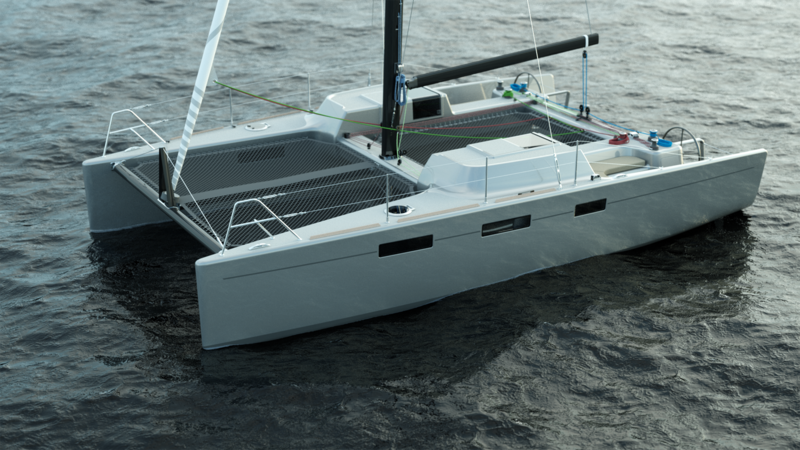 The DRC10 is a 10 m long cruiser racer catamaran that combines the speed and thrill of racing catamarans with the ergonomy and liveability of monohulls. 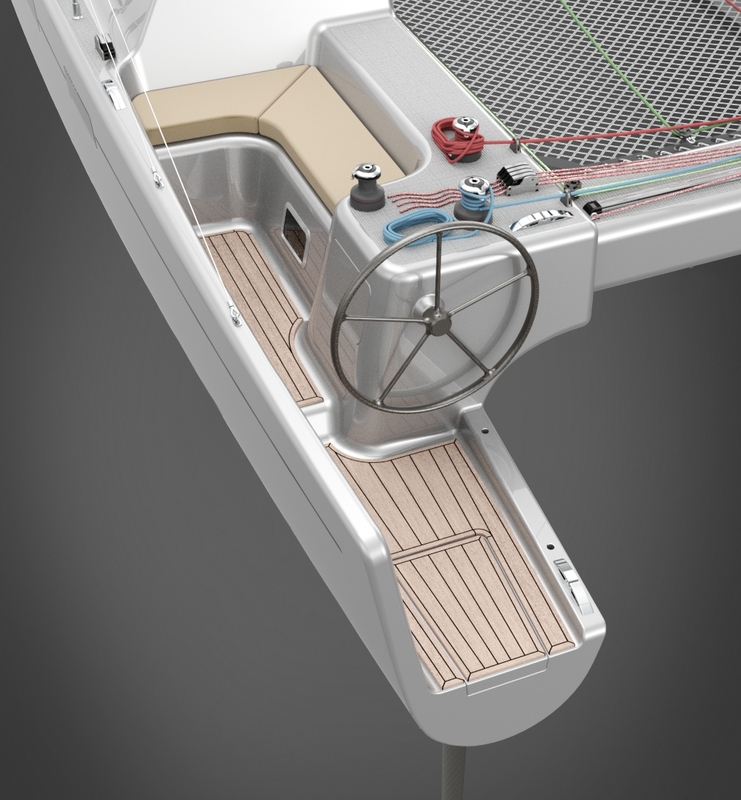 The main design element is the monohull-inspired cockpits. The cockpits have two steering wheels connected through the aft cross beam. In the back, the cockpits open to the center to give the helmsman an enhanced sense of speed. 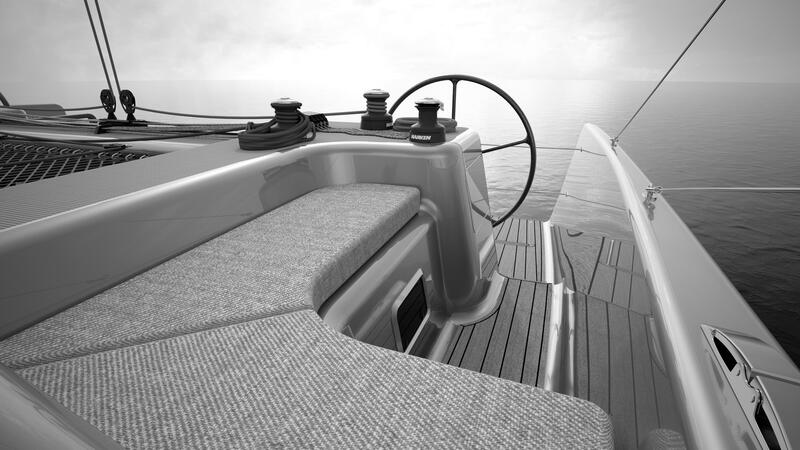 Removable safety bars with lifelines keep the helmsman safe. There’s seating for three in the front of the cockpits. The two cabins are entered through sliding hatches. The port hull has a galley, dining area and a single berth. 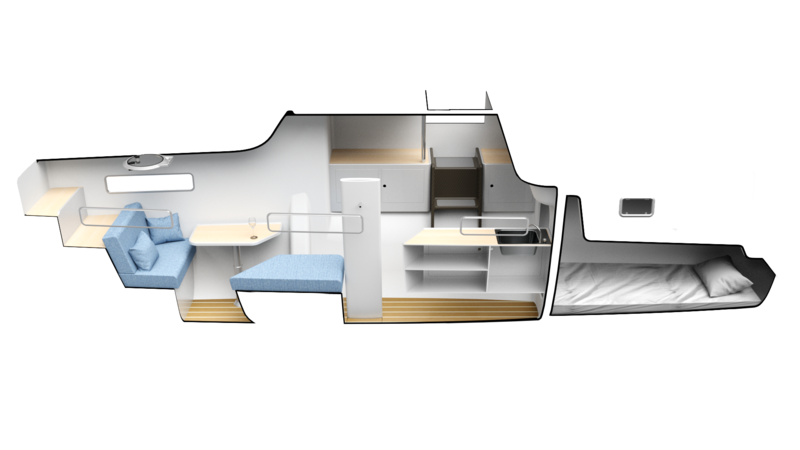 The dining area can be converted to a second single berth. The galley has standing height (1,9 m). 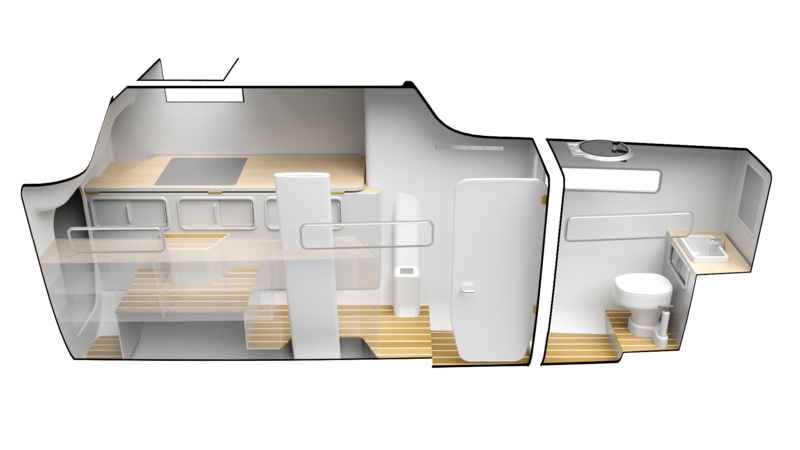 The starboard cabin has storage space and a toilet. 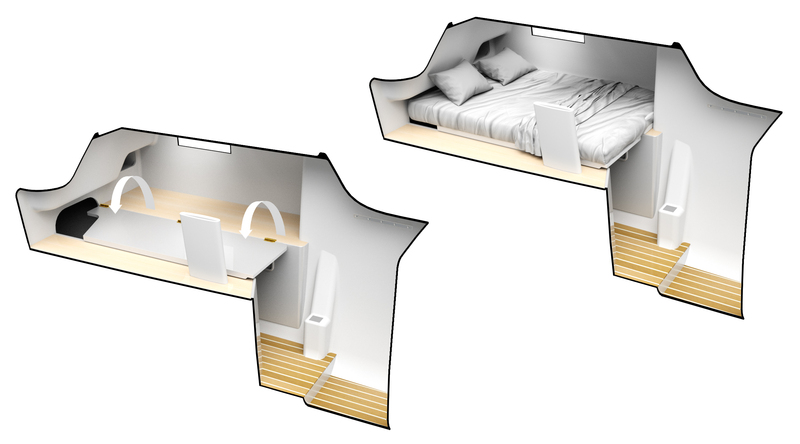 A double berth can be added by opening a hinged panel and adding matresses. The aft portion of the hull has a technical space.